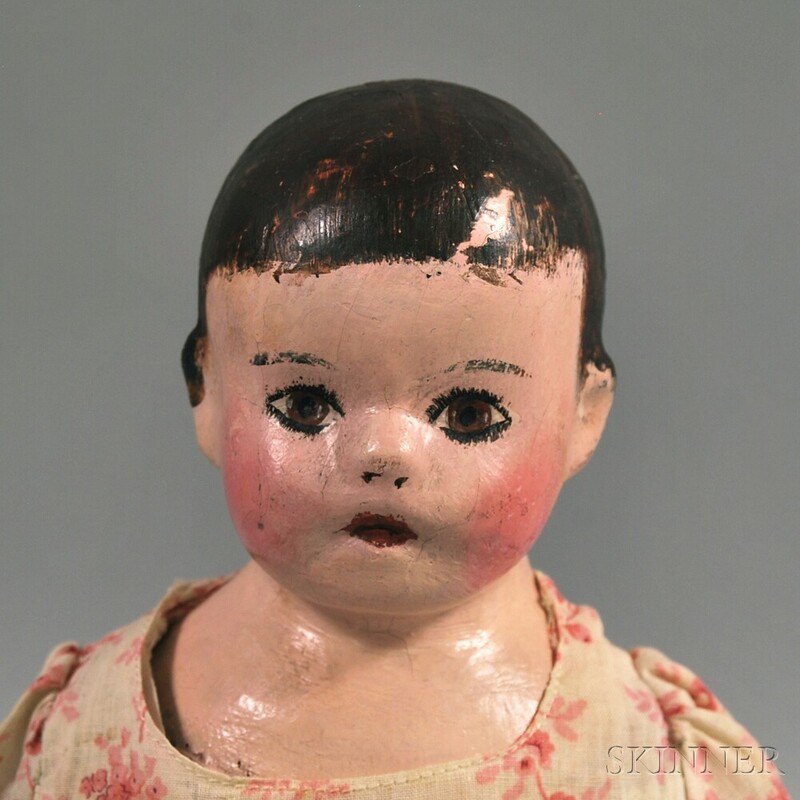 Alabama Cloth Molded Head Doll in a Pink and White Dress, America, early 20th century, oil painted head and features, brown painted eyes, brown hair in short bob, molded ears, rosy cheek coloring, cloth body, indecipherable stamp and No. 0, tab-jointed limbs, lower legs with blue painted boots, pink and white cotton dress, ht. 14 1/2 in. Provenance: From the collection of Ruth C. Burger. Smooth paint surface, small paint loss to hair, small ding on cheek .